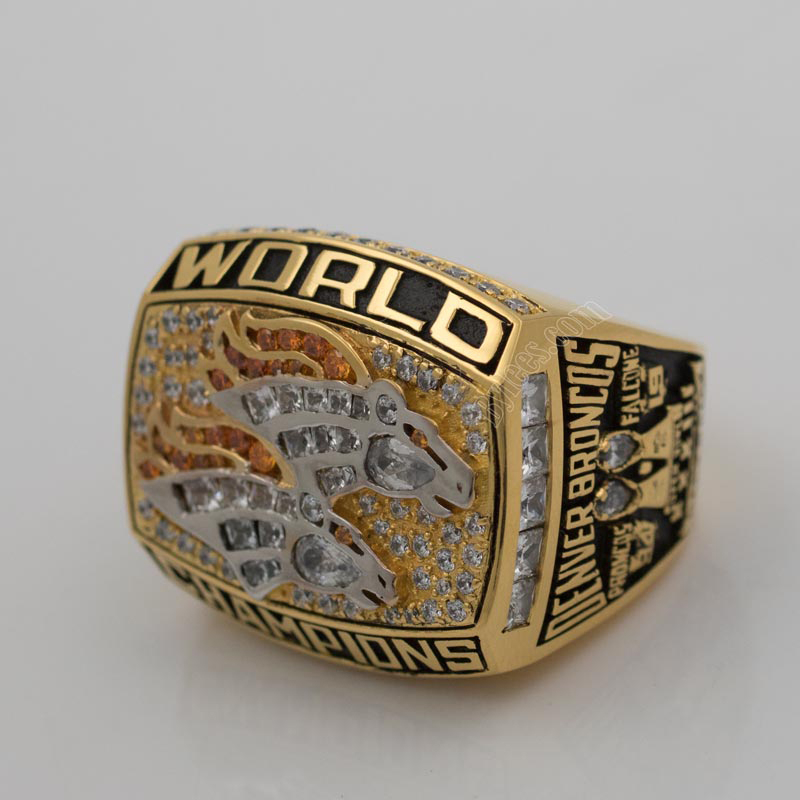 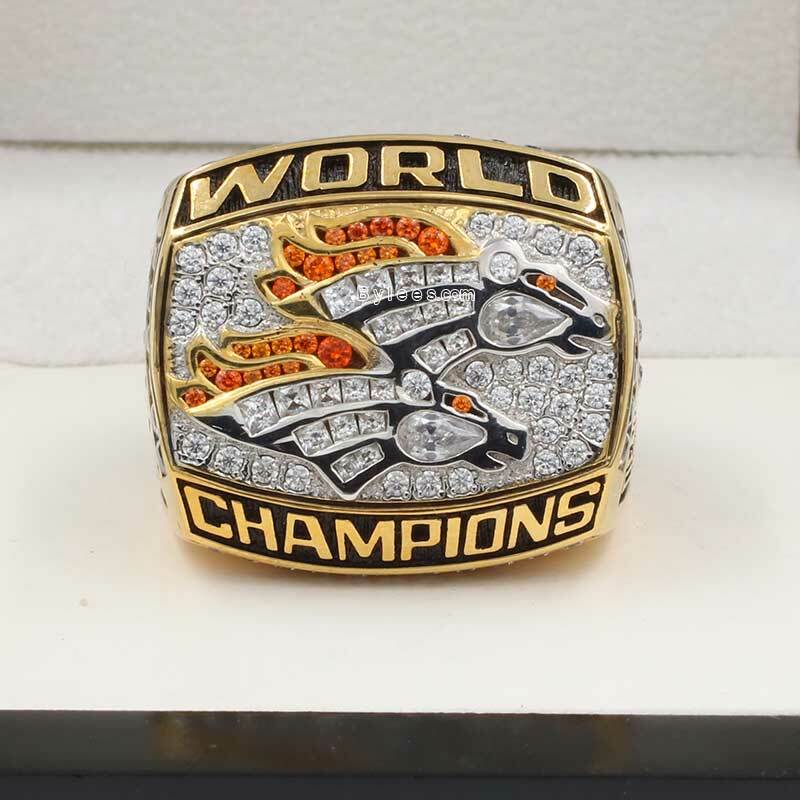 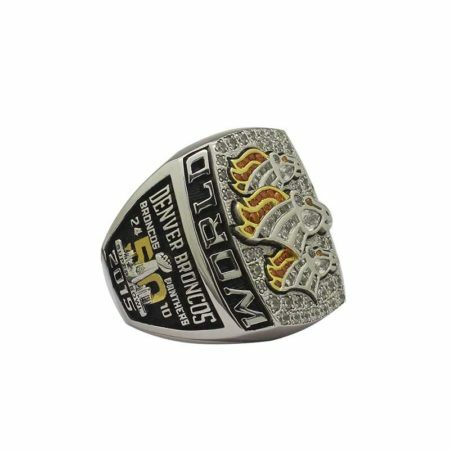 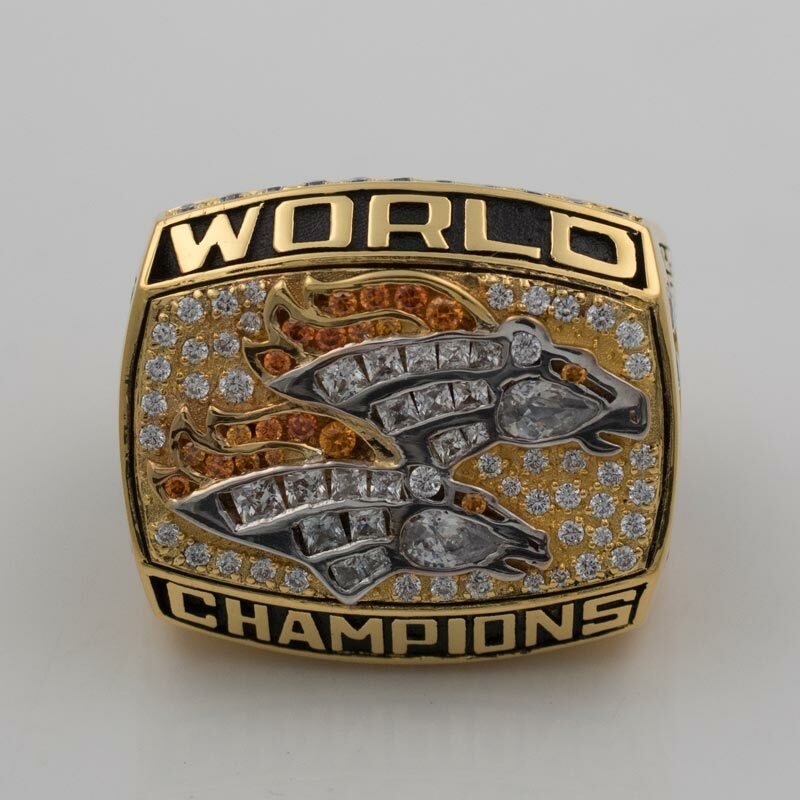 The Denver Broncos 1998 Super Bowl XXXIII Championship Ring repeats the style of Broncos 1997 super bowl ring, and double their logo on the top reflecting their consecutive super bowl rings. 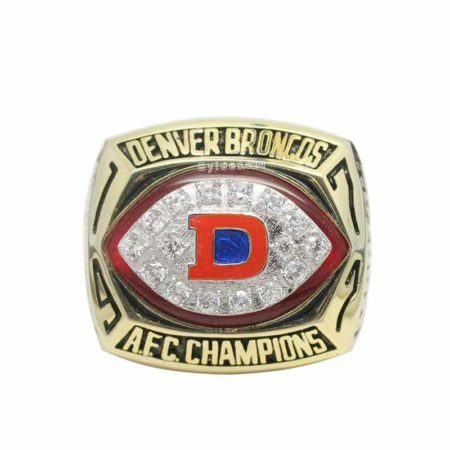 Excellent idea for excellent season indeed! 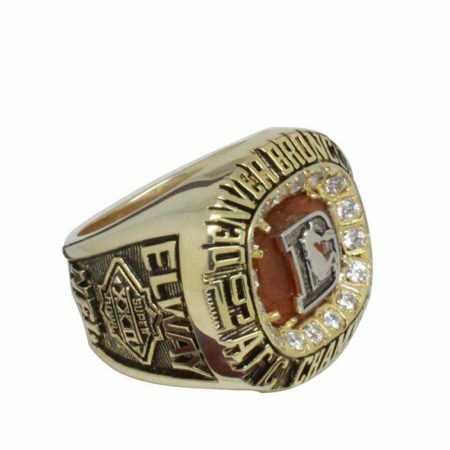 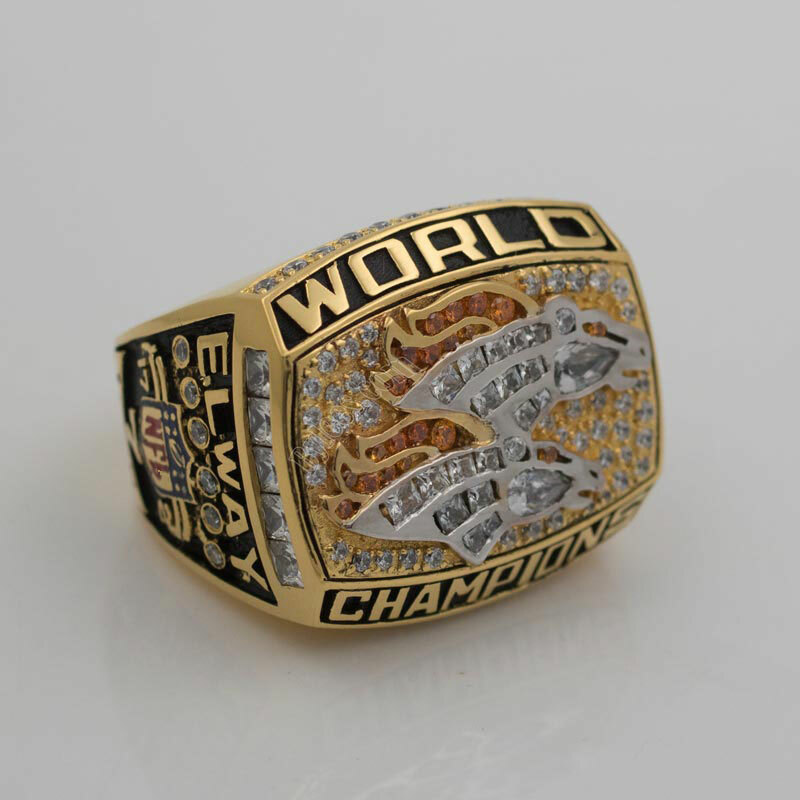 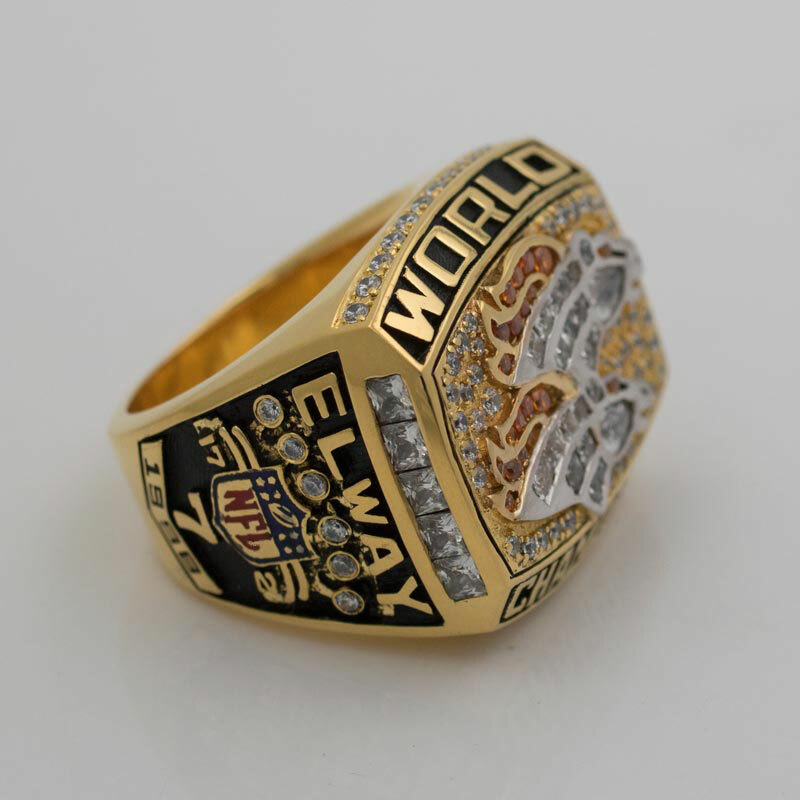 In Super Bowl 33, John Elway, as the oldest player at that time, was named as MVP and won the Super Bowl XXXIII ring at his final career. 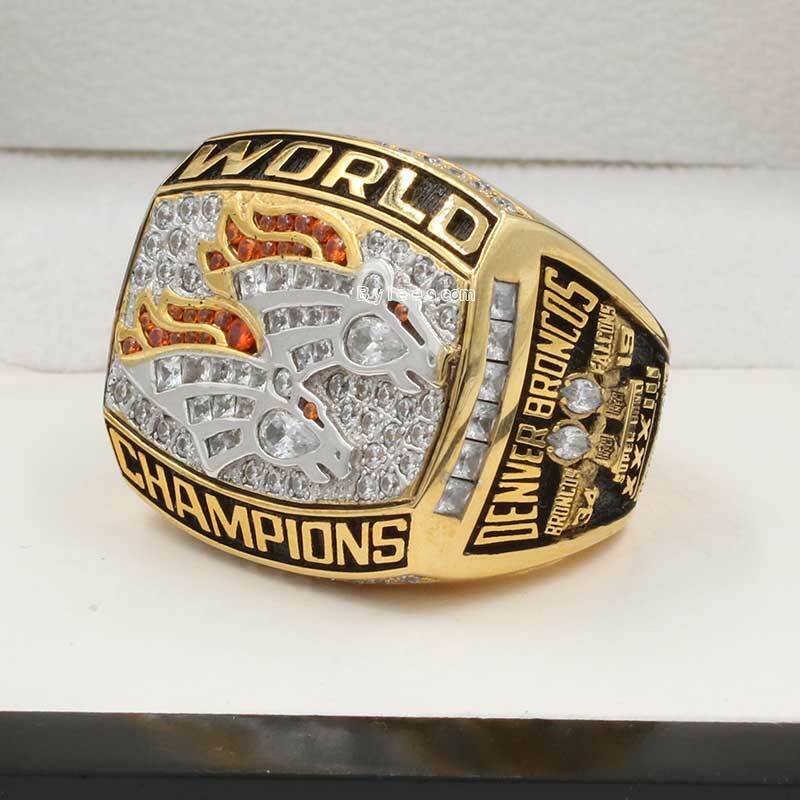 Terrell Davis also got his second Denver Broncos Super Bowl ring in this season. 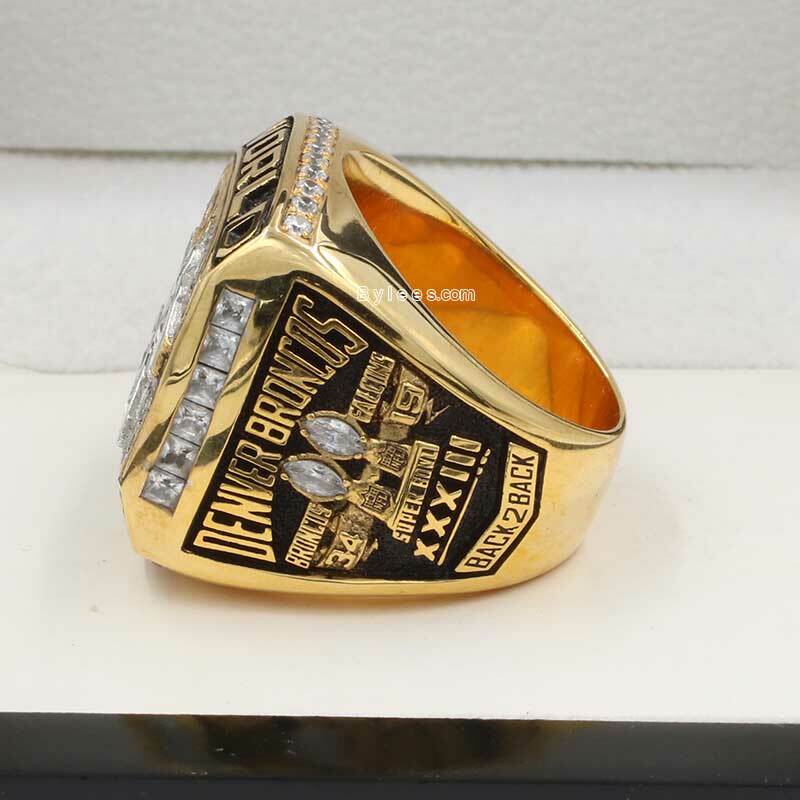 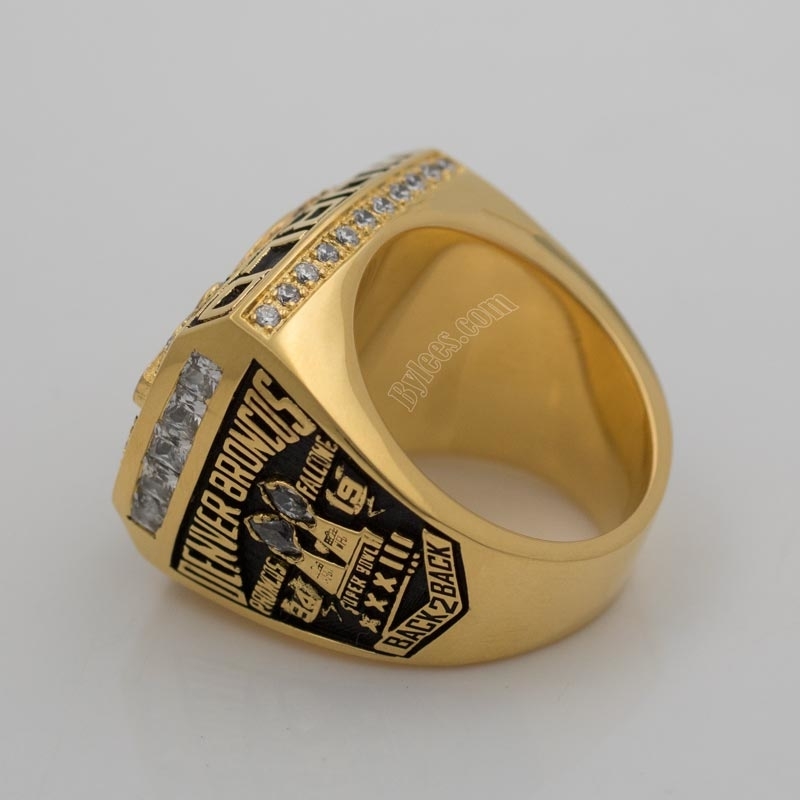 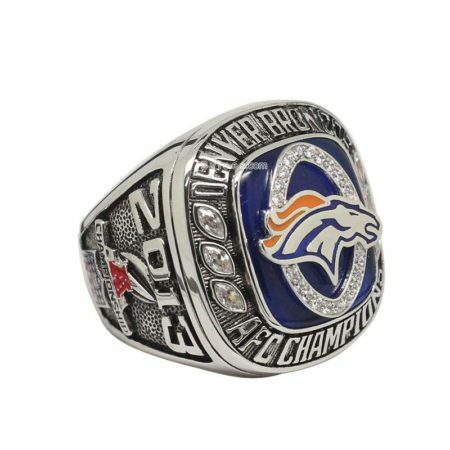 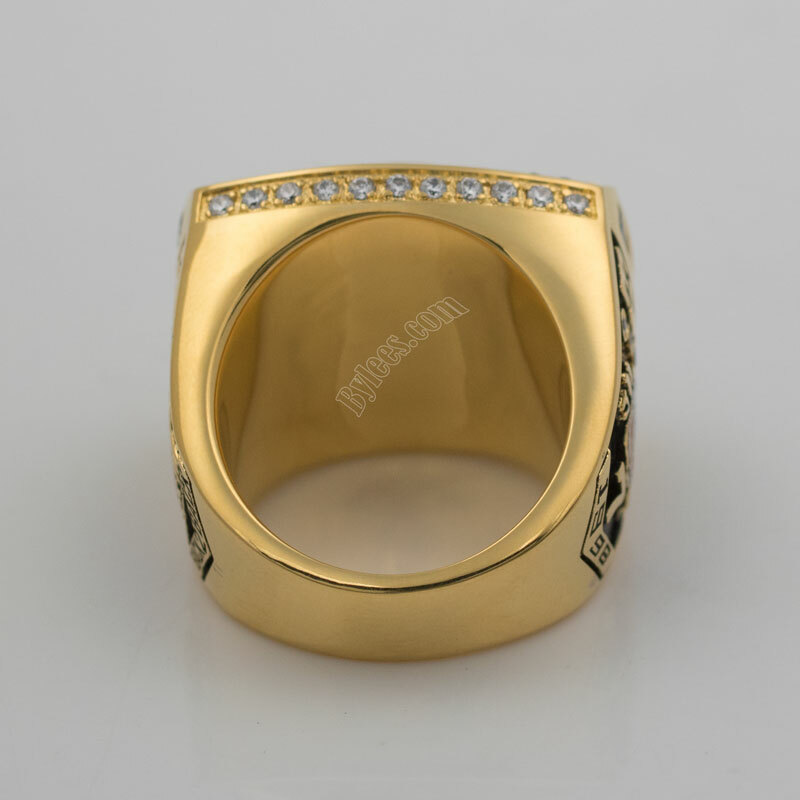 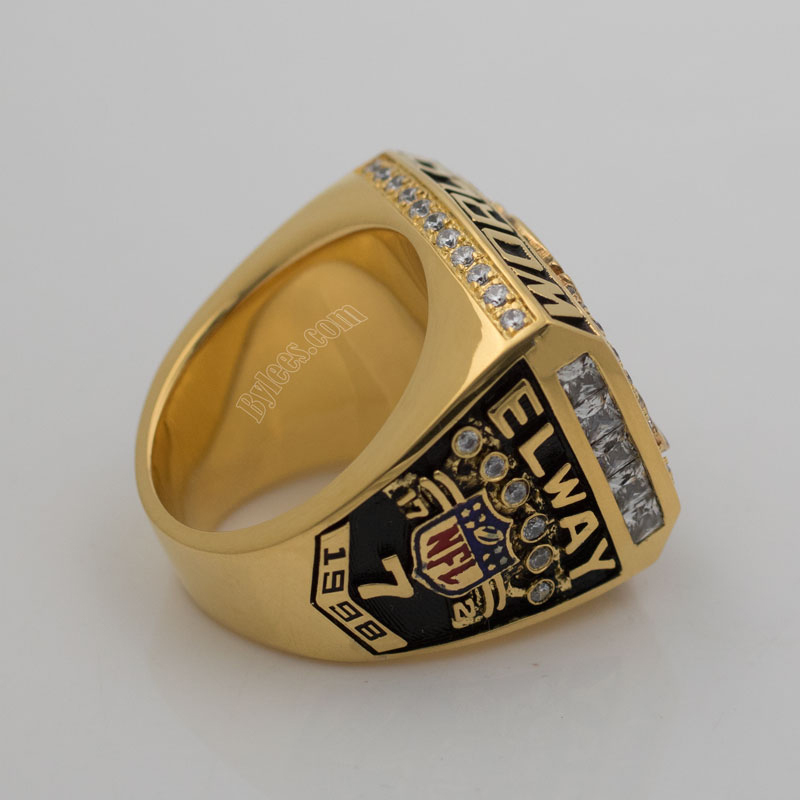 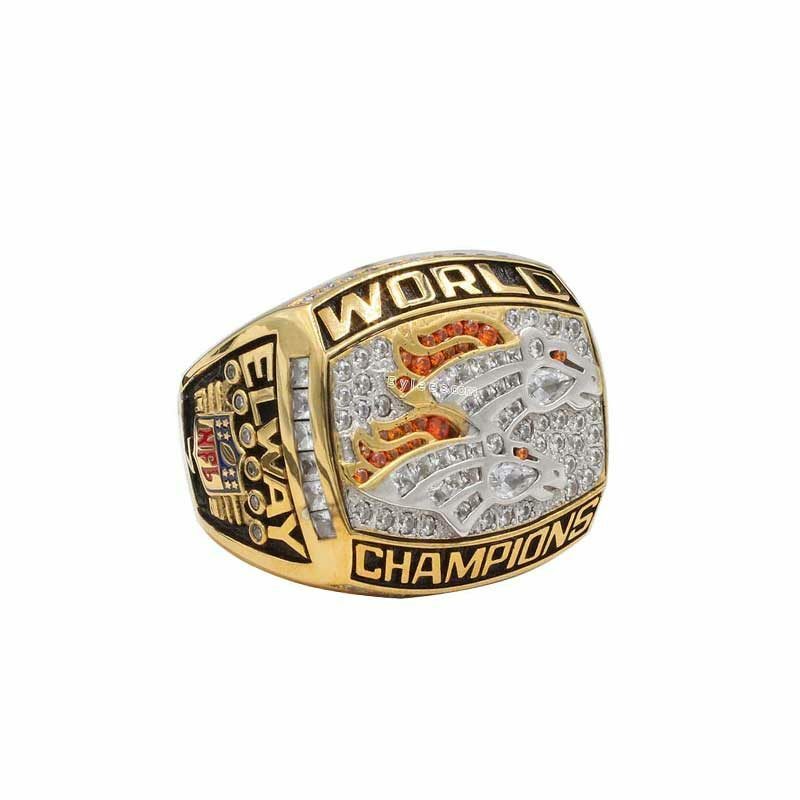 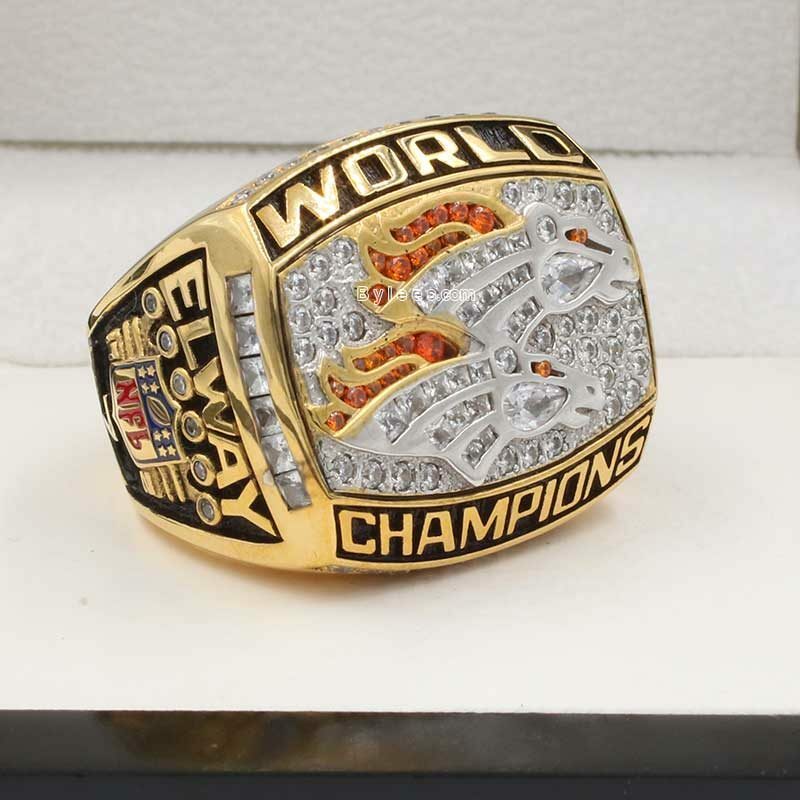 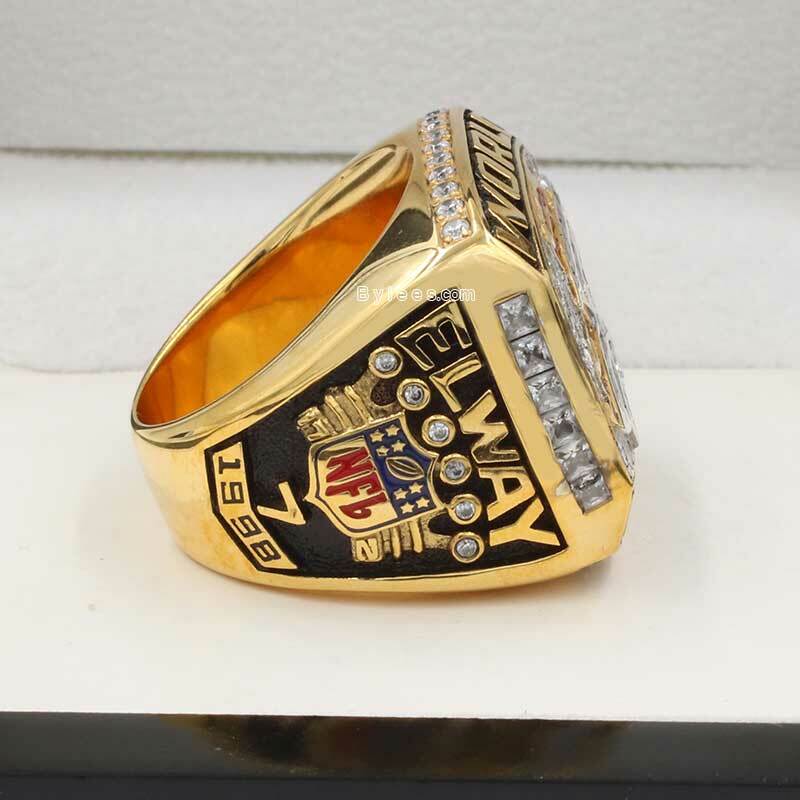 The version here is the replica of John Elway 1998 Super Bowl XXXIII Championship ring.